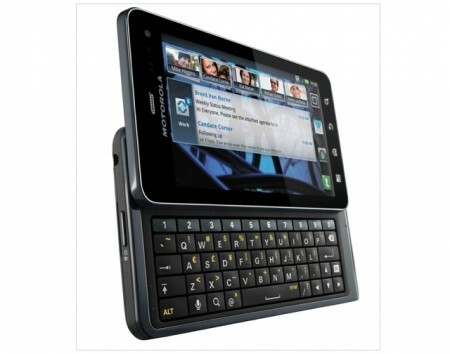 Verizon and Motorola recently launched one of the most anticipated devices of summer which is known as the Motorola Droid 3. Droid 3 is the successor to the famous Droid series, which actually began the Android era at Verizon. It was first launched in China as Motorola Milestone 3 and now it looks like the CDMA version is heading towards Canada where Bell Mobility will be carrying it. Obviously it’s not known as the Bell Droid 3 because Verizon pays Lucasfilm to use the “Droid” trademark, so Bell is launching it as the Motorola XT860 4G, try remembering that one. Bell is planning to launch it later this summer, with rumors swirling that they will be launching it in early August. Meaning that our Canadian readers will be able to see the so called world’s thinnest QWERTY slider phone in August. To refresh your memory about XT860 4G specs, it comes with a Dual-core 1 GHz processor, Android 2.3 Gingerbread with MotoBlur, 4-inch qHD (960×540) capacitive touchscreen, a full side-sliding 5-row physical QWERTY keyboard, an 8-megapixel camera with 1080p HD video recording and a secondary front-facing camera for video chatting. So our readers in Canada, are you planning to get one from Bell? Tell us in the comment box below.